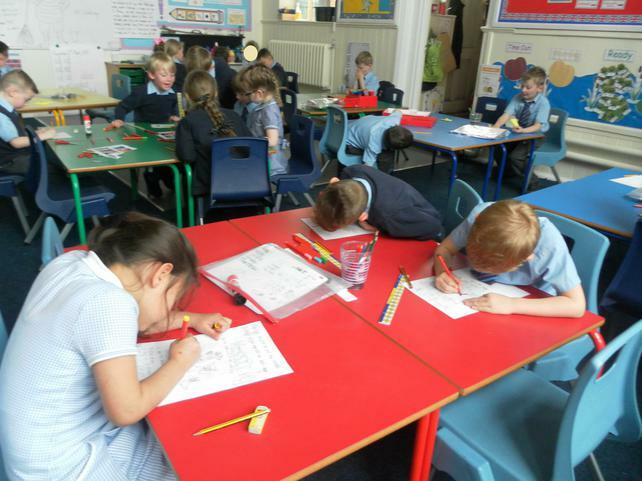 Class 2 continued to work very hard in our classroom this week and we finished our SAT's assessments. I hope everyone is feeling very proud of the effort they have put into our school work. 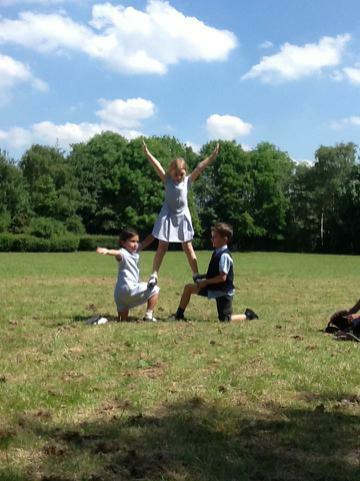 We finished our week with a well-deserved break in the sun on Friday afternoon and after a bit of time was given to practice, the children auditioned for our very own school talent show, St Helen's got talent! Class 2 and myself were amazed to see all of the talent in our class from, fantastic dancers to talented gymnasts, footballers and even our own class comedians. We had such fun watching and cheering on everyone! 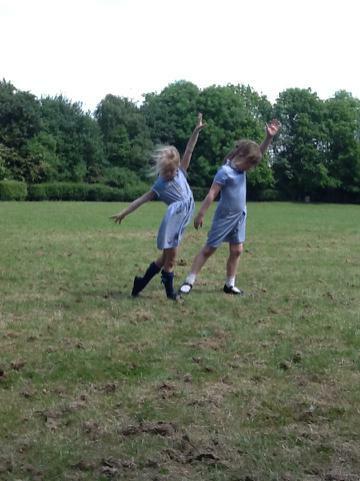 Everyone was very deserving to get put through to our school talent show but, we had to choose two acts and so, we put through our martial arts act and dancers. Well done everyone. 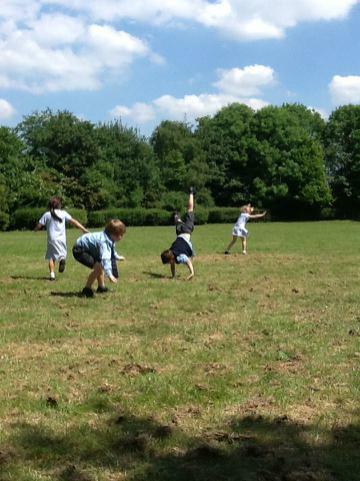 Have a lovely break Class 2, hopefully the sun will keep shining through our school holiday for you! This week, our Year 2s started their SATs tests and they have approached them with a wonderful attitude. I'm really proud of their approach to them so far, well done everyone! In class, we have been completing a carousel of activities in Maths including work on Shape, Measurement, Fractions and Missing Number problems. We have all worked so hard and have produced some wonderful Maths work. Our afternoons have included some great topic work, we researched Pudding Lane even further, investigating why the materials houses were made of in 1666 affected the spread of the Great Fire of London. 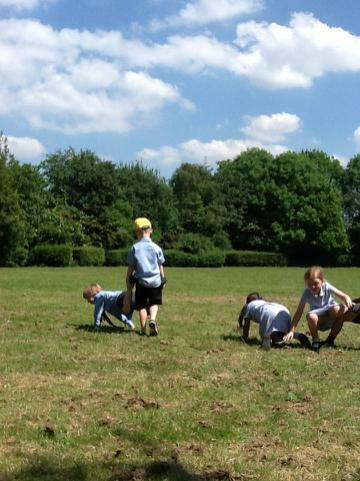 We also managed to navigate around a map of London with toy cars, recording the directions we gave. Then, we recreated Pudding Lane in the construction area, showing how close buildings were to each other and using different coloured tissue paper to show the flames that surrounded the area. 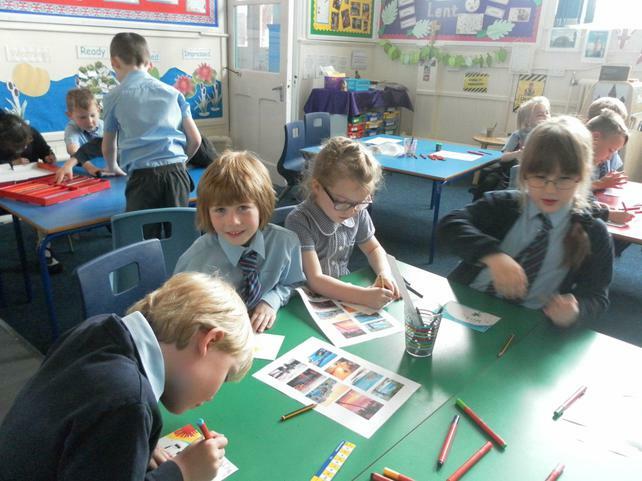 This week we continued our Bright Lights, Big City topic through looking further into London Zoo and zoo animals. 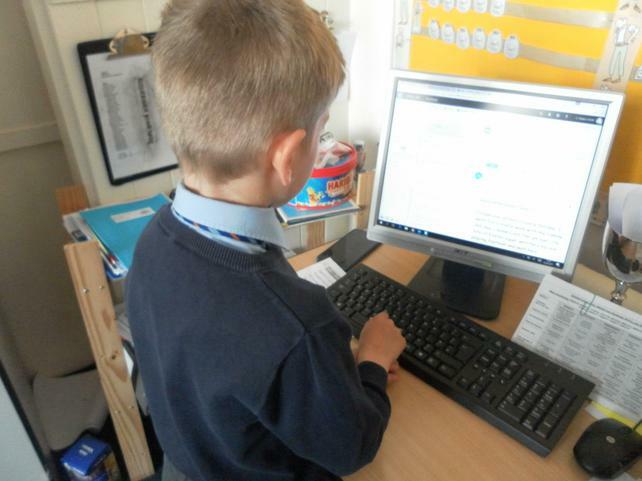 The children worked very hard in our Writing Sessions to investigate London Zoo, gathering information on a specific animal and how to care for it. We then, developed our instructional skills and wrote our own instructions on 'How to care for a zoo animal' as our hot piece of writing. Class 2 should be so proud of their fantastic writing, well done! Myself and London Zoo would like to wish our Year 2 children so much luck in our SATs. I know you'll do brilliantly! How do you care for a Zoo Animal? In our Bright Lights, Big City topic we have continued to look our capital city London, this week! We specifically looked at London Zoo and had a wonderful time researching it, learning about its location alongside many other things. We had such fun designing and building our own zoo in the construction area. As you can see from our photographs, the children created the most wonderful constructions with our classroom equipment. 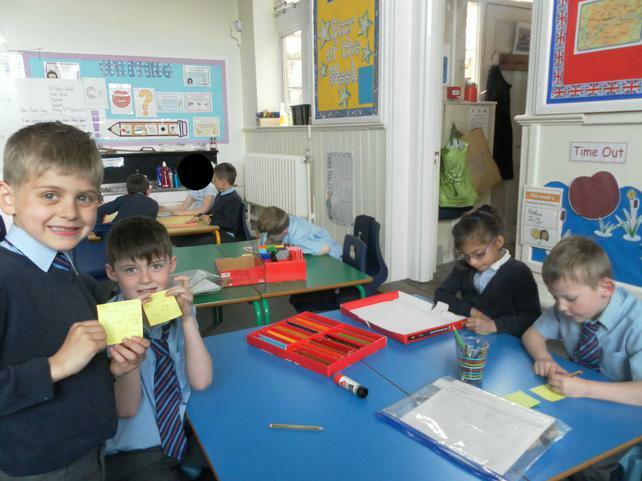 Our first week back in school, after the Easter break, involved starting a new topic in our Come and See RE. Class 2 began looking at our topic Spread the Word! In our first session Class 2 explored our topic and spoke about our experience passing on messages. 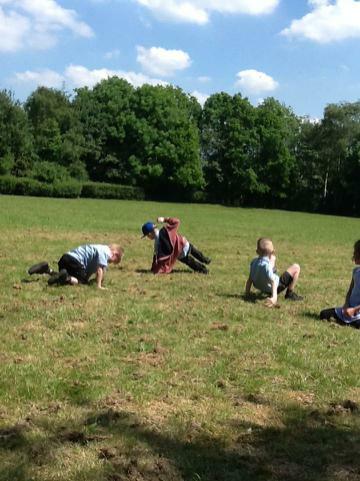 Everyone had a wonderful game of Chinese whispers, after which we thought about the original message and what happened. 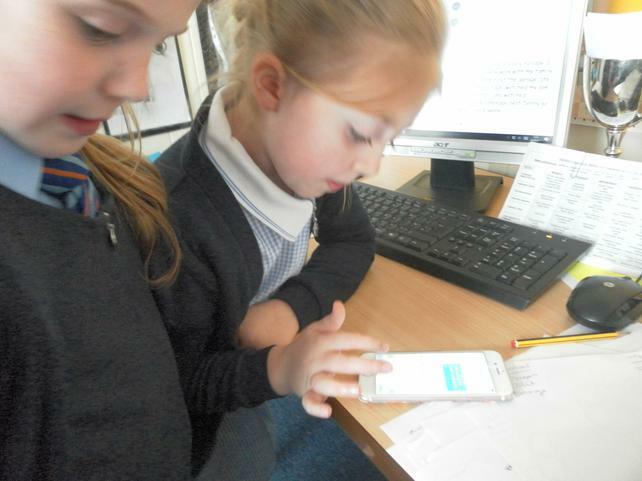 Our topic was revealed even further when we experienced messaging through emailing and communicating with our own head teacher over our class computer and a mobile phone which we text her on. 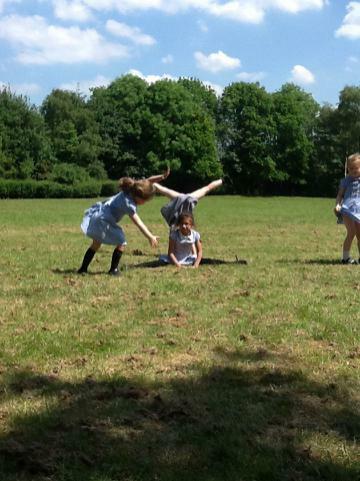 Class 2 had lots of fun and are looking forward to our next Come and See session!